Headquartered in the UK and South Africa, Investec is a specialist banking and asset management group which provides a range of financial products and services to a client base in the UK and Europe, southern Africa and Asia-Pacific. 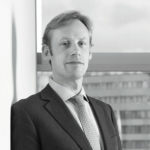 Senior investment director James de Broë-Ferguson’s work involves the management of predominantly discretionary portfolios on behalf of private individuals, their pensions, trusts, charities and private family unit trusts. ‘He is known for a loyal client base and his gracious good humour,’ says an industry insider. 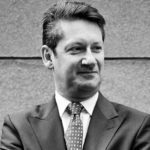 After Sandhurst, where he was an army scholar, de Broë- Ferguson began his City career in 1988 at Lloyd’s, where he worked as a hull insurance broker, before moving into fund management at Prudential Bache Securities. 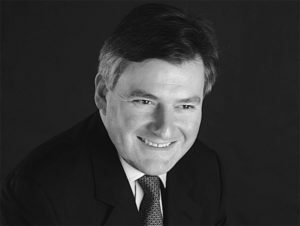 He then worked as a fund manager at Ruffer LLP, before joining Singer & Friedlander Investment Management in 2006, which was taken over by Williams de Broë and then became Investec Wealth & Investment. Having completed the Securities Institute diploma, de Broë-Ferguson is a chartered fellow of the Chartered Institute for Securities and Investment. Outside portfolio management, he is treasurer of the Harrow Association and sits on the committee of the Gull’s Eggs City Luncheon in aid of Cure Parkinson’s Trust.